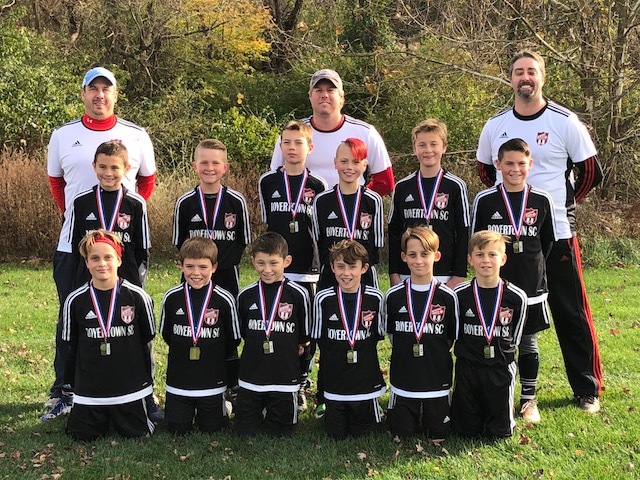 Needing to win the final two games of the regular season to make the championship game the boys defeated the previously undefeated TEYSA Elite 1-0 and then West Mont Blue 5-1 to finish second place in the regular season. In the championship game the boys again played TEYSA Elite and defeated them 2-0. In what might have been their best game of the year for the boys, they hardly allowed any shots on goal and put pressure on the TEYSA defense for most of the game. Defense wins championships and the boys showed that with their only 2 shut outs of the Delco season when it counted most.